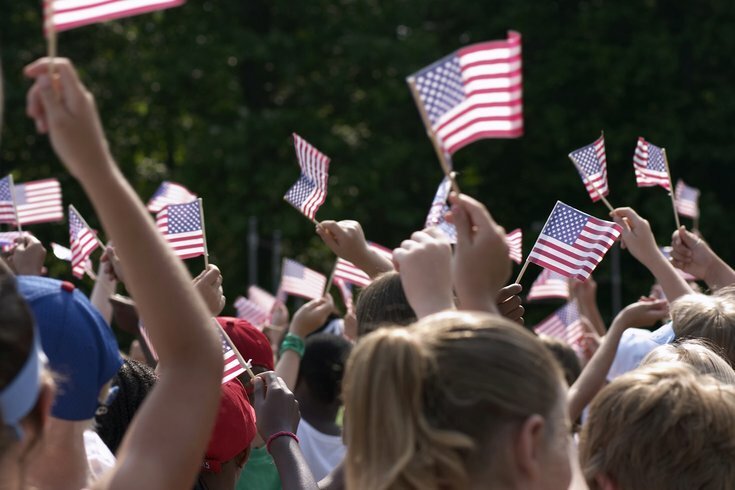 Flag Day, celebrated on June 14, commemorates the adoption of the flag of the United States. The date also marks the United States Army's 241st birthday this year. Many in the country honor the day by displaying American flags in their homes and on public buildings. The National Constitution Center, located within Independence National Historical Park, will raise a 50-star flag at 10:30 a.m. on its front lawn. A parade of past and present troops will follow, marching to Independence Hall. In front of the historic building at 11 a.m., the original act that established the flag of the United States will be read to the crowd. Following speeches, members of the Spirit of Liberty Sky Diving Team will land on the lawn in front of Independence Hall around noon. The day's festivities at Independence National Historical Park end with attendees helping to fold a giant American flag.